This book draws on the lessons from one of the most intensive periods of educational reform in any country during recent times. The post-1997 English experience, under a New Labour government, is used to illustrate the opportunities and challenges associated with attempting to develop a world class education system. Such reforms are fiercely contested - and often polarized - with proponents stressing the opportunities created, while others reveal the erosion of professional values. Contributions from UK and overseas researchers, including Andy Hargreaves and John Smyth, reflect on the implications for those concerned with developing education systems across the globe. Drawing on the framework developed by New Labour to assess the approaches to and outcomes of interventions and the extent to which policies can deliver promised transformations - but going much deeper and wider than this - the authors present a critical account of reform by studying examples of policies, and conceptualizing the interplay between policy, practice and research. 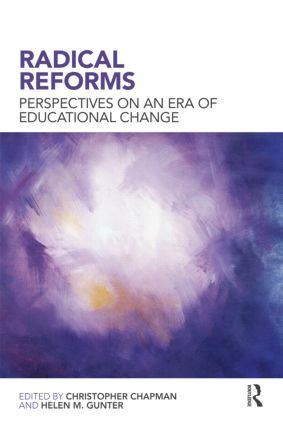 With contributions from leading international commentators, this book will be of interest to researchers in education, education policy and school leadership. Accountability for improvement: Rhetoric or reality? Raising standards: What is the evidence?